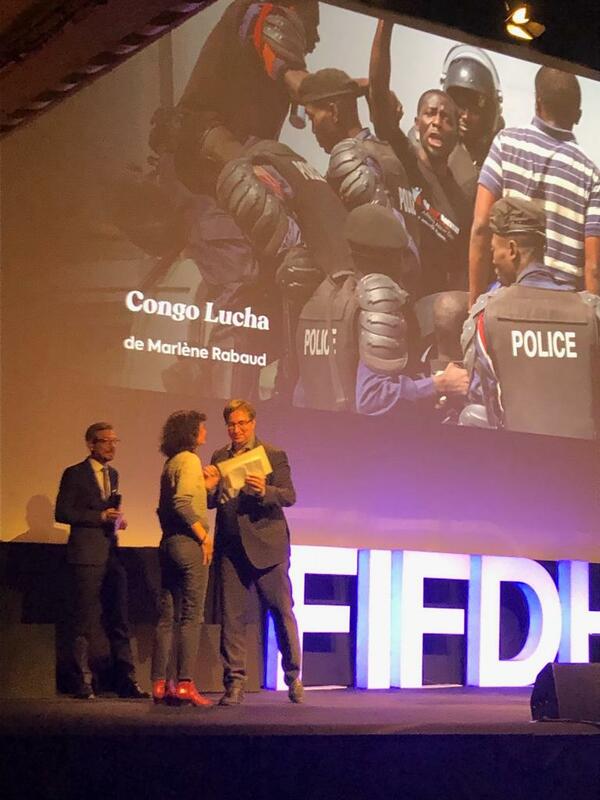 Congo Lucha, a deeply moving documentary on a group of young people promoting democracy and human rights in the Democratic Republic of Congo, received the 2019 OMCT prize at the Geneva International Film Festival and Forum on Human Rights (FIFDH). 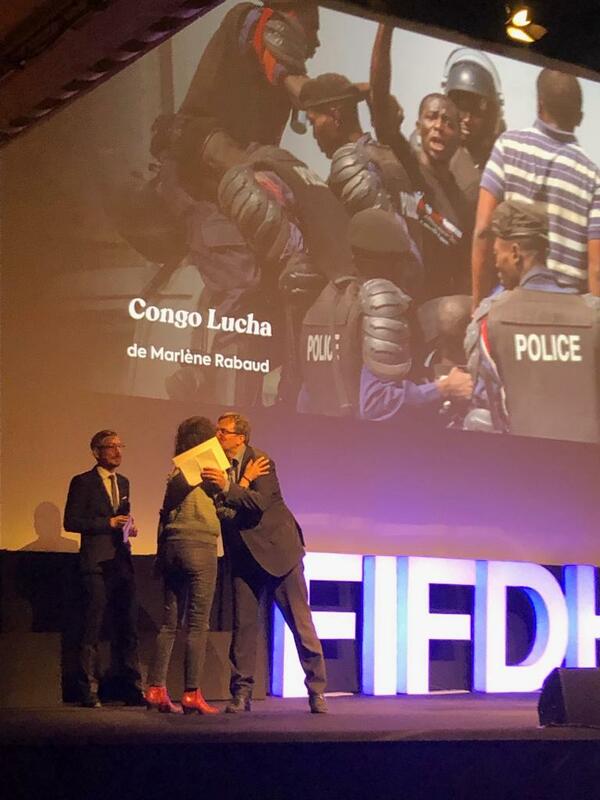 When handing the award to its director, Marlène Rabaud, Gerald Staberock, OMCT Secretary General, said: “The Festival debated about the new threats facing human rights and asked whether we were regressing. Marlène Rabaud’s answer is loud and clear: hope is alive, even in the DRC, even in the Kivus, even in those situations considered as desperate, where torture and impunity have become the norm. Το βραβείο του Παγκόσμιου Οργανισμού κατά των βασανιστηρίων πήγε στην ταινία «Congo Lucha» της Μαρλέν Ραμπό. Το ντοκιμαντέρ έχει να κάνει με το Lucha, ένα ειρηνικό κίνημα στο Κονγκό που κάνει εκστρατεία ενάντια στον Πρόεδρο Καμπίλα, που δεν επιτρέπει να λειτουργήσουν οι δημοκρατικές διαδικασίες. «Είναι πολύ δύσκολο να τραβάς σε τέτοιες συνθήκες, αλλά το αποτέλεσμα είναι εξαιρετικά ζωντανό. Στις στιγμές δράσης, η κάμερα λειτουργεί ελεύθερα και όλα μπαίνουν στον αυτόματο, ώστε να αποτυπώσουμε όσα συμβαίνουν. Έχει να κάνει με την αληθινή ζωή». Absolutely no reporting on this what so ever and it just shows that the world doesn’t think this is important or worth knowing about and it totally is. How many we don’t know ….. unfortunatelly!! I know it’s such a shame. My dad says euro news gives you stories that simply are not covered by either bbc or sky and it’s true.